Mary King and Kings Temptress. 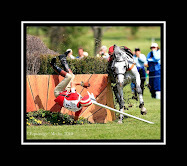 Lexington, KY - Mary King was not going to be stopped in her quest to take a Rolex watch back to Great Britain. 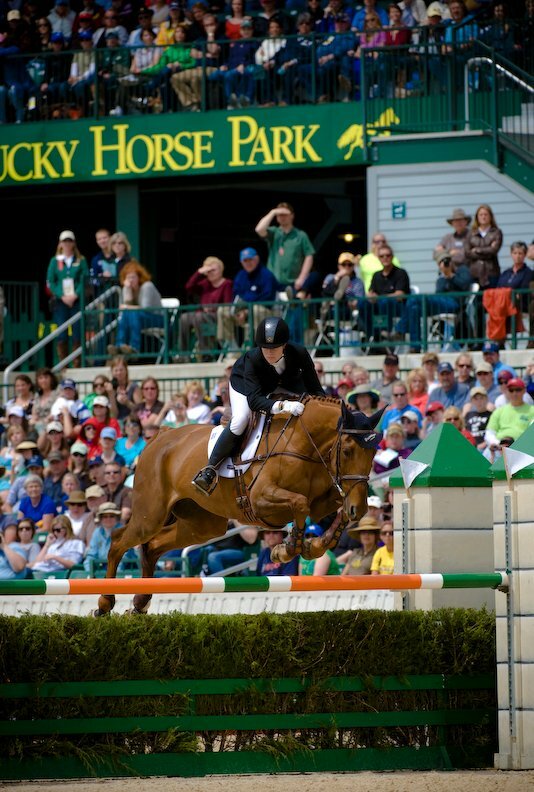 Lying first and second after the cross-country at the Rolex Kentucky Three-Day Event presented by Bridgestone - with Kings Temptress and Fernhill Urco - she did not flinch in the final show jumping phase and jumped an immaculate double-clear round on both horses. For the first time in history, the champion and reserve champion of America's only CCI4* was the same rider. King was confident and excited coming into the show jumping, and she rode with a professionalism that was inspiring. Kings Temptress added nothing to her fourth-placed dressage score of 47.7, they jumped immaculately around Saturday's cross-country course and then sealed the win over today's jumping track. King took home top honors with her 11-year-old homebred mare, who is now owned by Derek Rostron Baden. Her closest competition was her stablemate, Fernhill Urco, who emerged from his first CCI4* with second-place honors after only adding eight time faults to his dressage score. The Portuguese-bred grey gelding owned by Sue and Edwin Davies and Janette Chinn, jumped an immaculate clear round and really proved himself at the level. His clear round, jumped out of order due to the proximity of the placings, gave King great confidence to know that whatever happened with the second horse, the top honors were going home with the British veteran. Sinead Halpin of Gladstone, NJ, brought Manoir de Carneville to their first CCI4* and rose to the occasion to sit amongst two of the greatest in the game at the press conference. 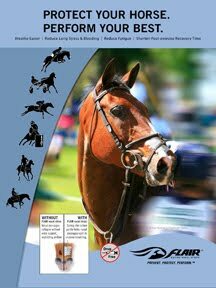 Owned by Carrig, LLC, the 10-year-old Selle Francais jumped for fun in the Rolex Stadium around Richard Jeffery's show jumping course and gave Halpin the 2011 USEF National CCI4* Eventing Championship on her very first try. 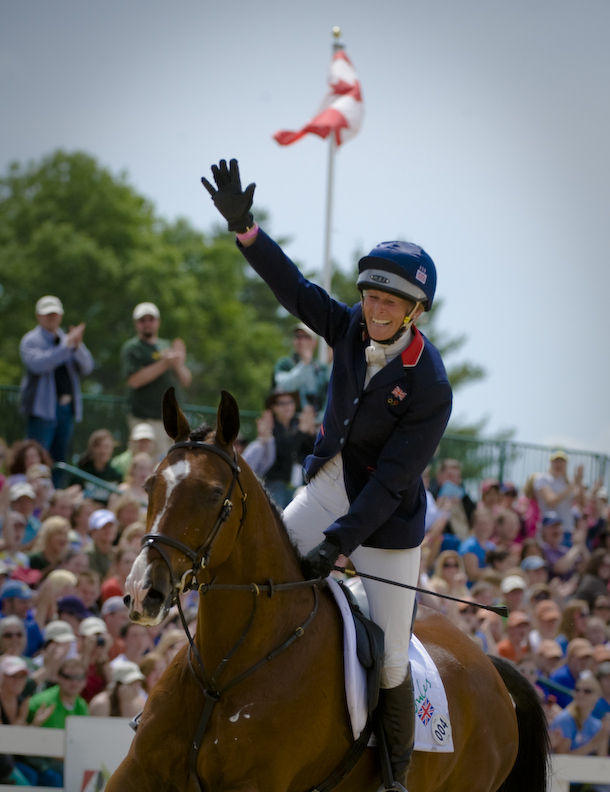 Their score of 53.1 (they picked up 4.4 time faults on the cross-country) was good enough to move her up from fourth after cross-country to third place behind King's pair and just ahead of William Fox-Pitt, the 2010 winner for Great Britain. "I'm beside myself," said Halpin. "He's so proud of himself. It's really nice having a horse like that. He was a little tired walking up to the ring, and then he heard the crowd from the horses before him and he woke up, he doesn't get nervous he gets really excited." Sinead Halpin and Manoir De Carneville. Halpin is enjoying the moment with her beloved horse, affectionately known as 'Tate'. With her name added to a list of national champions that reads like the U.S. Eventing Hall of Fame, Halpin has bright plans for the future. She contested the Boekelo CCI3* last fall in Holland as part of a USEF Developing Rider program and that experience has resonated with her. "Burghley is certainly something I've thought about," said Halpin. "I tried to keep my focus here. But that would be very exciting to do. Going to Boekelo last fall was huge. I would be thrilled to go to Burghley...but after Tate goes out in the field for at least a month with no shoes." Halpin jumped up one place in the standings when Clayton Fredericks, riding for Australia, had one rail down on Be My Guest to drop to fourth. The 2007 winner had a foot-perfect round on the cross-country course on Saturday. Halpin spent a stint working for Fox-Pitt after getting her initial foundation with David and Karen O'Connor. She conveyed her initial frustration that Fox-Pitt wouldn't teach her, until she realized that she needed to learn by watching him, not by having him talk her through each step. "I told her that I'm not going to stand on the ground and tell you what to do," said Fox-Pitt. "You have to figure it out. Eventing is a mental game. She came with all the talent in the world. But she was over-keen to be too good...she relaxed over time and has a fantastic horse. I felt very proud watching her jump today." Fox-Pitt was also proud of his own horse. Neuf des Coeurs, a 10-year-old Selle Francais, romped through the test of his first CCI4* and jumped his way to fourth place on his score of 57. "He's an awfully nice horse," said Fox-Pitt. "I found him for his owners, they've been with me for a long time." Neuf des Coeurs is owned by David and Margie Hall and Judy and Jeremy Skinner, who have been involved in the careers of a number of other of Fox-Pitt's horses. The USEF Reserve National CCI4* Champion was Hannah Sue Burnett on Richard Thompson's St. Barths.